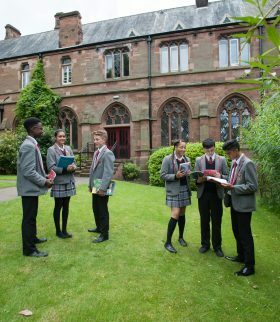 As with the pre-prep, Highclare Preparatory School has two infant settings, one based at Highclare Preparatory School: Woodfield, and one at Highclare Preparatory School: St Paul’s, both in Sutton Coldfield. Both locations offer the same high standards of education for boys and girls from Reception class to the end of Yr2. Moving from pre-prep to prep is a big step for any family. 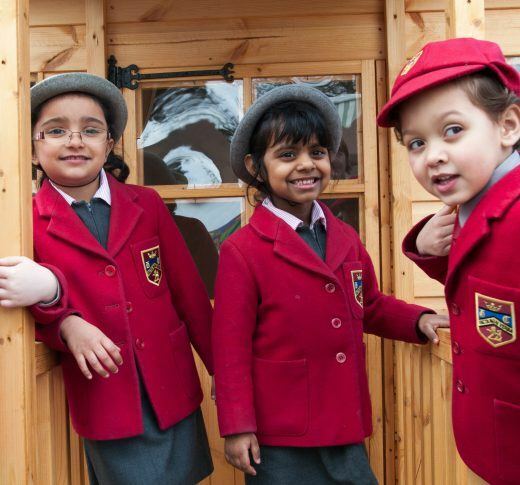 Children who have been with us from the pre-prep stage are able to transition in familiar surroundings, with no disruption to learning, which is true of every step of the journey at Highclare, where we cater for children from the age of two to 18. We ensure the process is handled as smoothly as possible for all children at every stage. To build the individual’s sense of attainment and morality, we operate reward systems such as ‘Good to be Green’ and ‘Golden Time’, which reward both curricular and extra-curricular activities. These awards, together with accompanying certificates, are presented at weekly Merit Assemblies. Talents in extra-curricular activities such as Spanish, ballet and sport are nurtured using award stickers. At Highclare we believe in nurturing not just the academic intelligence of a child, but also the emotional. Pupils are encouraged from an early age to look after one another. A structure is in place in the infant settings, using different strategies to recognise others’ pastoral needs, and awards are made for good playground behaviour. The learning needs of individual children are recognised and discussed through regular staff meetings where information is shared, and particularly in the case of children moving from Pre-Prep to Reception, and from Yr2 to Yr3 (infant to juniors), the milestone stages of any child’s school life. The school day for our infant children (Reception to Yr2) starts at 8.45am and finishes at 3.25pm. Our excellent wrap-around care service starts at 7.30am and continues after school until 6pm for those parents who wish to take advantage of this. In the spirit of nourishing a child’s all-round awareness of living a happy and fulfilled life, a healthy eating food policy is delivered by our chefs who cook meals on location, and pupils are regularly assisted in making healthy choices when in the dining room. Parents are able to view the lunch menus regularly on Highclare Virtual (the school’s virtual learning environment) and on the notice boards. Each setting offers learning success co-ordinators who provide additional provision for pupils with specific learning needs – so no matter the requirements of every child, we are equipped to help them grow in the best way possible.